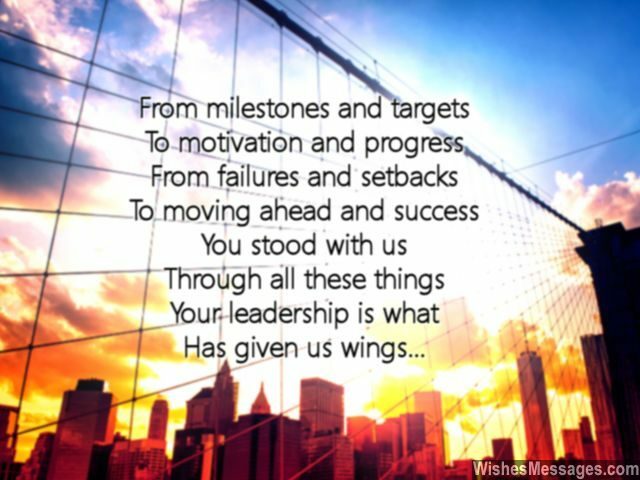 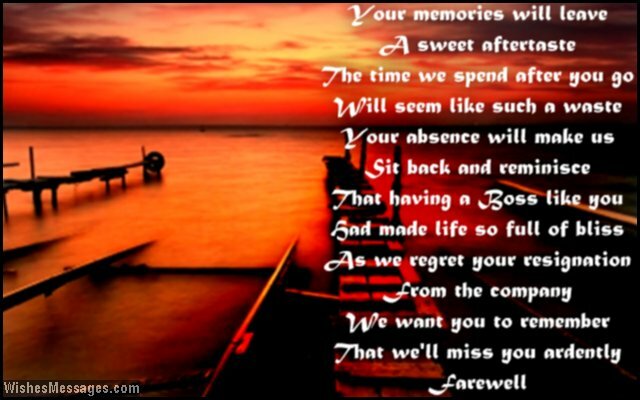 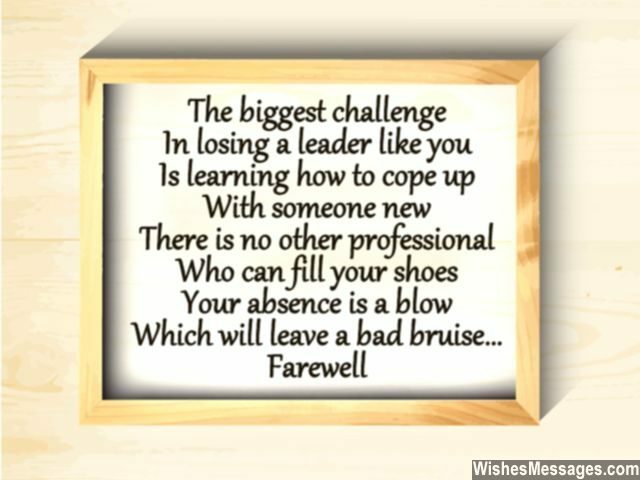 Farewell Poems for Boss: Inspirational quotes, messages that reek gratefulness, touching notes on greeting cards, funny speeches and stirring words to say goodbye – all this and a lot more is the order of the day when a great leader walks out the door. 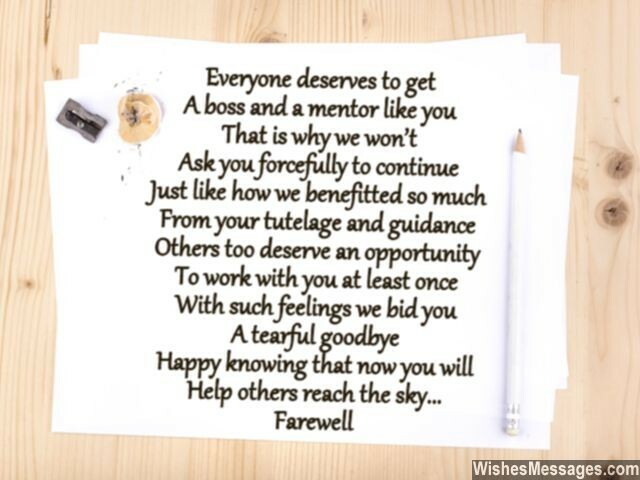 If it is your boss’ last day in the office, use the opportunity to say Thank You for all the support, motivation and mentorship that was given to you and your colleagues. 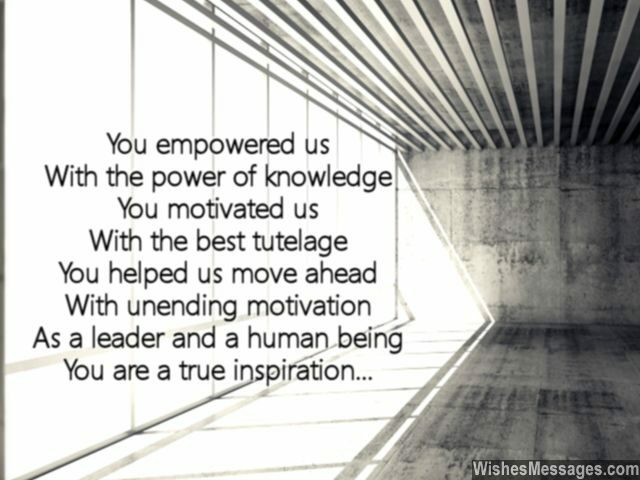 It is your chance to break out of the professional boundaries, and express genuine gratitude. 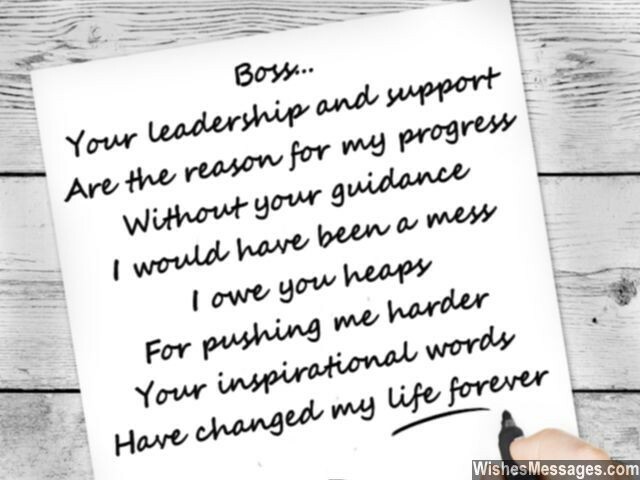 Whether it is retirement or a new job – plan a farewell speech that highlights the ups and downs of your professional relationship. 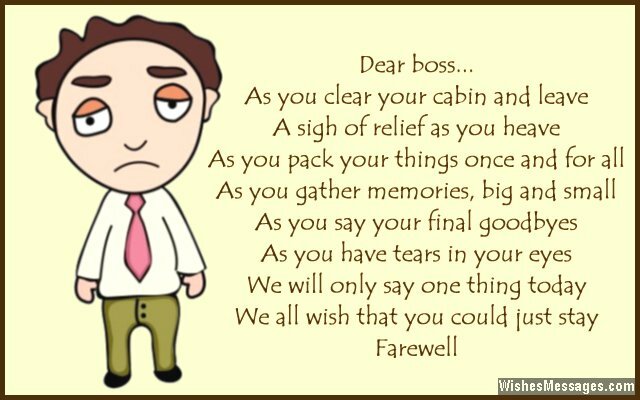 From a tearful goodbye to an awesome farewell party, give your boss a day to remember. 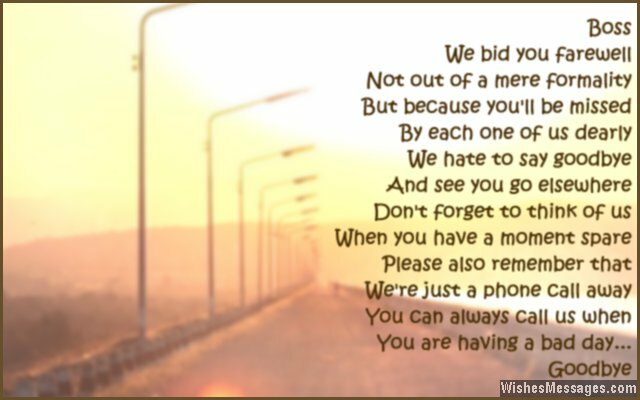 And after all the dust settles, share memories of the celebration on Facebook and Pinterest.